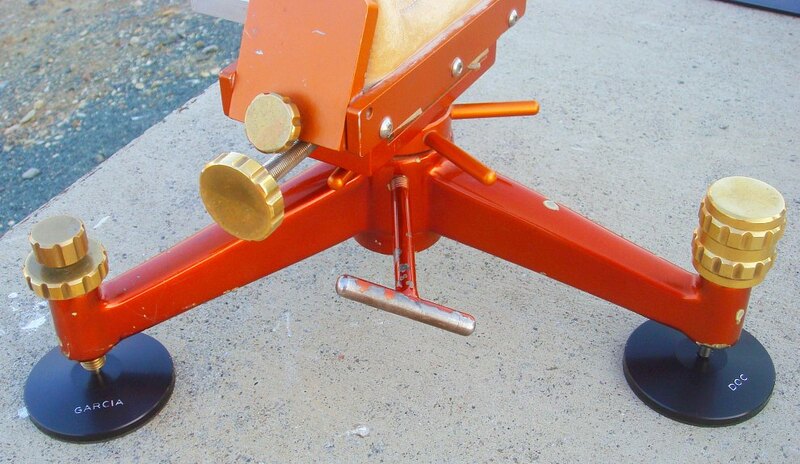 Don Nielson is now producing a new set of anodized aluminum front rest feet. Coated with non-slip rubber on the bottom, these large (3″-diameter) feet are the biggest on the market. They do an excellent job, pretty much eliminating any sliding or shifting movement of your rest, even with large calibers. Don notes: “I call these benchsavers ‘Pucks’. 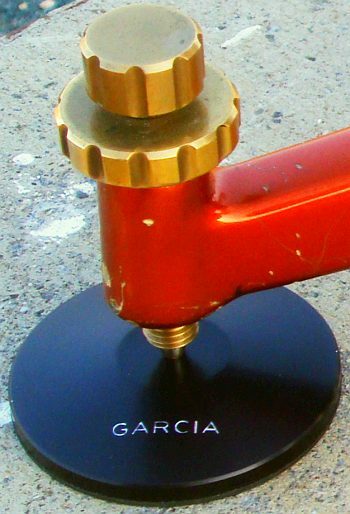 They provide added stability, and avoid the problem of creating divots in your bench tops. I custom-make each unit, and engrave the customer’s name on the Puck at no extra charge.” Don also has a special Puck version for the speed-screw foot. This features a ball bearing positioned directly under the speed-screw shaft tip. The bearing reduces friction, allowing easier, more positive adjustment. Basic Nielson Pucks are $20 each, while the ball bearing model is $30.00. (Prices plus shipping). To order, contact Don Nielson at (818) 883-5866. Share the post "NEW 3-inch Diameter Rest Feet From Nielson"
Sierra Bullets has released an upgraded version of its Infinity ballistics software. The latest release, Infinity 6, includes new features, boasts improved functionality, and is now fully compatible with Windows Vista. New Infinity software features include: 1) Improved Atmospheric modeling; 2) Revised print formats with MOA (clicks) column; 3) Tabular formats for tactical shooters in MOA and MIL including up/down angle calculations; 4) Wind Profiler calculates trajectory in 5 separate wind zone conditions; and, 5) Twist Rate Calculator reports optimal twist rate, based on bullet specs/muzzle velocity/stability factor. The new Infinity version 6 will sell for $39.95 while Infinity Suite v. 6 (which includes the entire 5th Edition Rifle+Handgun Reloading manual on CD) retails for $59.95. For more info, contact Sierra at (800) 223-8799 or sierra [at] sierrabullets.com. 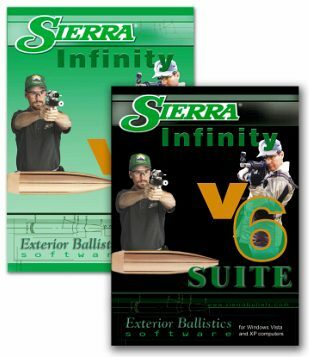 Share the post "Sierra Upgrades Infinity Ballistics Software"